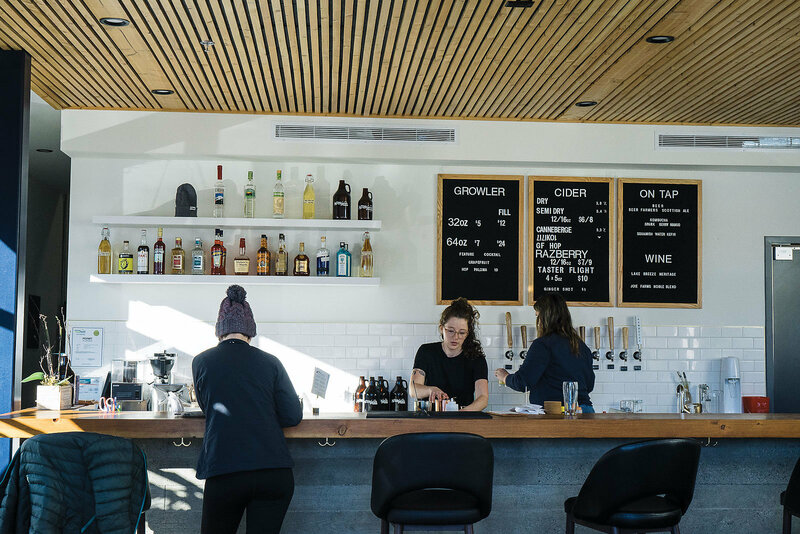 Northyards Cider Co.’s offerings are the result of many years of learning and experimenting— combined with even more years of disliking beer— and they’re delicious. It was pretty far-fetched—at least if you’d presented the idea to her 20-year-old self—who even then, barely drank alcohol. But here she is, opening the doors, after four years of planning and preparing, as cofounder of Northyards Cider Co. in Squamish, BC. Craft cider maker. Impassioned advocate for old-timey ways and unadorned taste. Student of Finnriver’s Cider Master Andrew Byers. Graduate of Walla Walla's Institute for Enology and Viticulture. Northyards isn’t simply making good cider, they’re trying to change how British Columbia views— and taxes—the drink. The cidery sources apples from the province's Okanagan Valley, making for a product that is purely British Columbia.